Come with us into the wild! Are you looking for a walking break that is flexible and takes into consideration the needs of all the group and is tailored to give you exactly what you want. We don't do the large crowded walking holidays, we just do small personal groups! We are situated within so much walking countryside with hills, mountains, rivers, waterfalls, gorges, historic places and friendly people. Combine that with staying near the town of Hay on Wye which is a great place to spend time relaxing when not walking, it is so ideal! Our walking breaks are so flexible it is easy to please everyone in your group even if they don't want to walk and just come to be social. You get to choose the type of accommodation that suits you, when you come and how much walking you want to do. We do some great deals in low season and mid-week so get some friends together and come and enjoy a great time exploring the area. Design your own walking break or select one of our packages! If you are with us for a few days you may want to do your own thing for a day mixed in with days led by a guide, that's fine. On days that you choose guided walks we require a minimum of two people to be walking. Leaving you relaxed to enjoy a very memorable walking holiday! 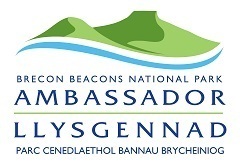 Mick is a Brecon Beacon Park Ambassador whose walks for the Hay Walking Festival are very popular. He will work with you to plan where you walk, how far, how high, all at your pace and specific to an interest such as navigation, geology, history, warplane crash sites or to visit the ever popular waterfall country. Here are some ideas of breaks you can design yourself! Mick is a Brecon Beacon Park and Goepark Ambassador and regularly leads walks including foraging, Navigation training and Mountain walks.